The conversation will be moderated by Eva Franch i Gilabert, and will be followed by a roundtable discussion with Margery Perlmutter and remarks by Brian Butterfield (The MET) . Manifesto Series: In Our Time – The Sharing Movement, is a two-part series presented by Storefront for Art and Architecture and The Metropolitan Museum of Art. How will today’s sharing movement affect the way we work, move, build, and produce new ideas and knowledge? Participants will discuss this contemporary and ubiquitous movement, one that is increasingly influencing the exchange of goods, data, images, services, and spaces of residence and work. The series brings together leading practitioners and scholars embedded within the movement to explore its spatial, social, public, and private consequences, many of which are changing the future of urban life. 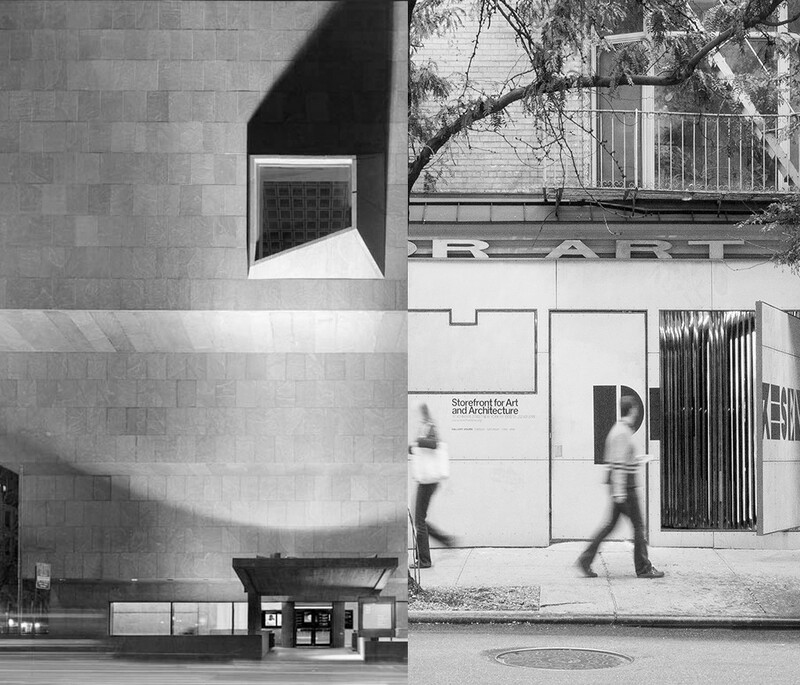 Events will take place on June 8th at the Met Breuer, and on July 19th at Storefront for Art and Architecture. Storefront will also publish a related book as part of its Manifesto Series that draws upon the issues presented during the event. These events are free and open to the public, with seating on a first come, first served basis. Storefront members receive reserved seating. If you are a member and would like to reserve a seat, you can RSVP to aa@storefrontnews.org and specify which events you’ll be attending. If you would like to become a Storefront member, please see here. A video of this event is available here. Margery Perlmutter is the Chair of New York City’s Board of Standards and Appeals. Prior to her appointment by Mayor Bill de Blasio, Perlmutter was a partner at Bryan Cave LLP. She counseled developers, architects, and non-profit institutions on zoning and land use, development enhancement strategies, building code, and related environmental issues. Perlmutter also represented owners in obtaining special permits, variances, zoning map and text changes, and other special approvals from governmental and quasi-governmental regulatory agencies, including the New York City Planning Commission, the Board of Standards and Appeals, and the Department of Buildings. Prior to practicing law, Perlmutter was, for more than 15 years, a managing partner at a private architecture practice in New York City. She has been a registered architect in New York since 1982. Craig is Chief Technology Officer of Sidewalk Labs, leading the engineering team – which focuses on developing new urban technologies – and working with portfolio companies to develop their engineering teams and technology. Before joining Sidewalk Labs, he founded Google’s first remote engineering center, located in New York City. In his role as Engineering Director at Google, he oversaw the development of products including Google Local (now Maps) and Froogle (now Google Shopping), as well as features of web search such as Question Answering and Web Definitions. Mauricio enjoys playing with code, objects and all things interactive. He is currently an interaction designer and manager of the Product and R&D group at NYPL Labs, The New York Public Library’s digital innovation unit. One of his favorite projects is Building Inspector, a tool to extract data from historic insurance atlases through a combination of computational and human processes. Mauricio spent the last fifteen years designing and developing interaction design projects for a wide range of commercial, academic, private and public institutions. Mauricio is an Industrial Designer from Universidad de los Andes in Bogotá, Colombia where he also lectured for six years. He also holds a Master in Human-Computer Interaction from Carnegie Mellon University. nARCHITECTS was founded by Principals Eric Bunge and Mimi Hoang with a goal of addressing contemporary issues through innovative concepts, social engagement, and technical experimentation. The letter ‘n’ represents a variable, indicating the firm’s interest in designing for a dynamic variety of experiences within a systemic approach. The firm’s work instigates relationships between architecture and public space, and their dynamically changing contexts. nARCHITECTS’ architecture provokes social interactions that in turn question basic building types and systems, responding to evolving criteria or phenomena such as weather (as in their bamboo Canopy for MoMA PS1, 2004); light and views (Switch Building, 2007); rising sea levels (New Aqueous City, Rising Currents, MoMA, 2010); shifting demographics (Carmel Place, 2016); and landscape (Chicago Navy Pier, 2016). While engaging with complexity and flux, nARCHITECTS aims to create architecture with an economy of conceptual and material means. nARCHITECTS was recently honored with an American Academy of Arts and Letters award in Architecture and with the AIANY’s Andrew J. Thomson Award for Pioneering in Housing. Previous recognition includes The Architectural League’s Emerging Voices award, several AIANY Design Honor and Merit Awards, the Canadian Professional Rome Prize, Architectural Record’s Design Vanguard, and two NYFA grants. Principals Eric Bunge and Mimi Hoang are Adjunct Assistant Professors at Columbia University. Shawn McLearen is a community real estate developer and consultant. As former Vice President of Real Estate Development for Artspace Projects, he spent a decade cultivating and administering over $100 million in public and private funds necessary to advance multi-policy, community development real estate projects in New York state. Partners, financing structures and regulatory requirements include private foundations, tax credit equity, state bonds, local / state / federal program funds, and community finance banking products. Since that time he has co-founded Placeful, a non-profit community real estate development company with a mission to foster community space through socially responsible partnerships in finance, agriculture, education and the arts (placeful.org); and New York Hops & Grains (nyhopsandgrains.com) with a mission to bring Craft Beverage farming back to the Empire state. Previously, he co-founded Mixed Palate as a bi-lingual website that promotes sustainable food culture (mixedpalate.com); and Farm to Campfire as a platform to celebrate the produce and producers of the Hudson Valley (farmtocampfire.com). He is an Executive Committee member of the North East Foodshed Finance Alliance (foodshedfinance.org) and Food + Enterprise (foodandenterprise.com), and a Board Member of Slow Food NYC (slowfoodnyc.org).